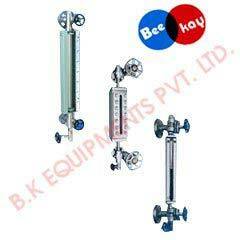 We offer high-quality Gauge Glass Valve from Chennai to all across the globe. Our unit is equipped with advanced technology, which helps us to continue improving our Valves, as the requirements of the customers change. We are efficient in handling bulk orders for the offered valve and ensure timely delivery. The packaging options supplied by us are best in the market that ensures a defect-free delivery of our products.